An ancient, fearsome beast rests deep underground – until it is lurched from its slumber by a foul substance, oozing down from above. Thus the Toxic Garbage Dump Fossilla is born! The mighty beast defies all logic of exhistence with his half-decomposed body lumbering in vengeful rage! 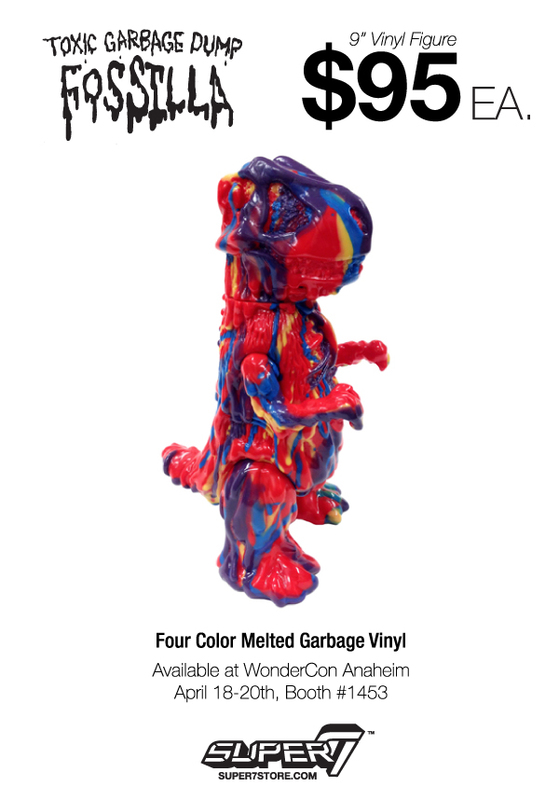 Cast in four color melted drip vinyl, blood red, putrid purple, shocking blue, and bile yellow, each monstrous monstrosity is a unique, one-of-a-kind cacophony of color! The Pocket Rose Vampire Returns! The cold, dark winter is over, and the new season brings a translucent Springtime Specter up from underground. Cast in Translucent yellow vinyl with red, white, baby blue and metallic gold sprays. Spring is here, and with it comes the beginning of baseball season! 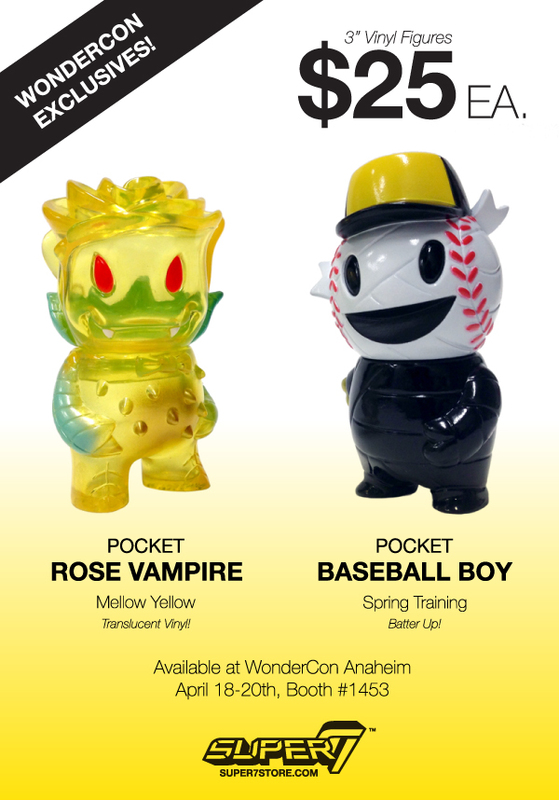 Super7’s Pocket Baseball Boy is there, ready to step up to the plate and knock it out of the park with one hand. The 3″ tall, two-part figure is cast in black vinyl with white, red and yellow sprays.